When Jane moved to Nantucket in 1971 where she worked with a German tailor and began working as a seamstress and clothing designer. It was through this work in clothing design that she met Billy Baldwin. She made clothing for and collaborated on many projects including designing tabletops and custom-made appliqued table runners and tablecloths for Billy’s projects at Tiffany. 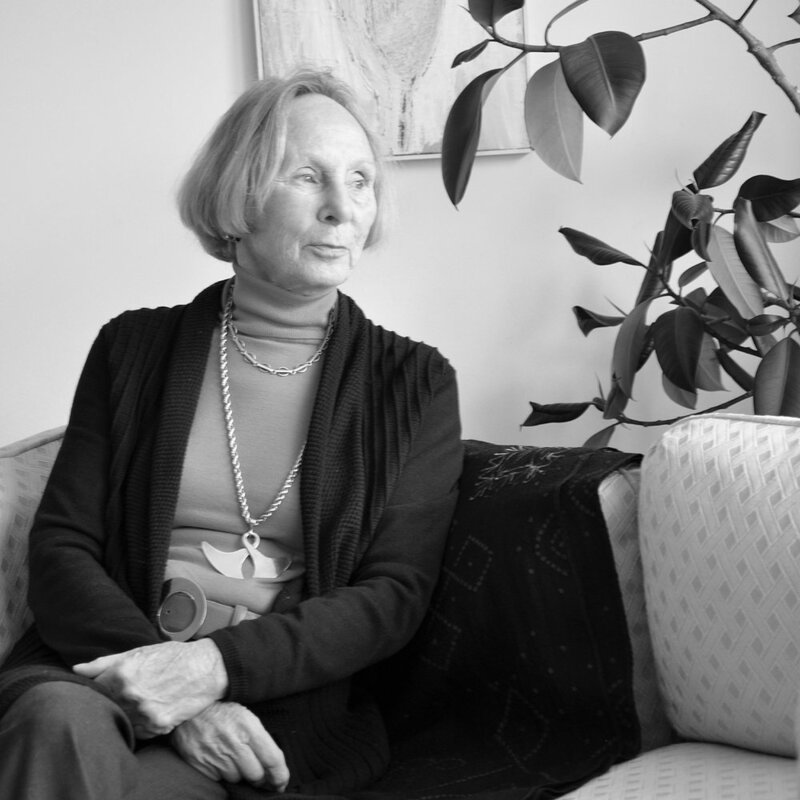 During this time Jane met Bunny Mellon and made several trips to her various homes where they spoke endlessly about art and design. Seeing great works of art in a home setting inspired her to read about art and visit museums whenever possible. The love of art stayed with her and has become a lifetime interest, which led to opening a very successful art gallery in Great Barrington in an old railroad station. Ute studied history of art at The Institute of Fine Art NYU, worked as an independent curator for museums such as the Brooklyn Museum, Milwaukee Art Museum as well as museums in New York, New Orleans, Pennsylvania and Haiti where she also served on the Board. She was on the acquisitions committee of the Berkshire Museum and on the Board of the Studio Museum in Harlem. When she moved to the Berkshires she opened an art gallery in Lenox based on the idea that all art is connected through quality. She made her point mixing folk art, fine art, craft and outsider art. The selection came from all over the world and together a harmonious picture evolved. The Berkshires are known as a cultural attraction with locals and visitors alike understood and welcomed the idea. The gallery was extremely successful. When her husband became ill she had to close the gallery. Since he passed, the idea of opening another gallery along the same lines but with partners became a reality in July. Akkie grew up in the Netherlands with parents for whom art was extremely important. That led her to studies that included a six year art history curriculum and a year at the Sorbonne, Paris where she studied French Art history. Akkie lived in the Netherlands, Germany, Switzerland, Belgium, Canada, Hong Kong. In addition she has traveled extensively. Her husband always said about her many trips “you leave like a lady and come back like a gypsy…with all the extra bags and boxes “. Buying and collecting art for her was very simple. Good quality of course, but as important loving it and understanding the creative process of the artist. Akkie also attended business school in the Netherlands. She worked with Ute Stebich for a dozen years in her Lenox gallery.